Is a new family leave policy on the way? Marie Gould Harper, professor of management in the American Public University School of Business, examines President Trump’s plan and whether we should look to other sources for this benefit. 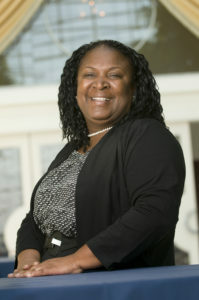 Dr. Marie Harper holds a master’s in instructional systems from Pennsylvania State University, and a doctorate of business from Capella University. She is the Program Director of the Management program at American Public University. Her experience is in the areas of human resources, instructional design, online learning, management, and more. Some of the organizations that she has been active and held leadership positions include: Society for Human Resource Management, Organizational Development Network, Association of Collegiate Business Schools and Programs, Students in Free Enterprise, and Delta Mu Delta. When President Trump was on the campaign trail, his promise of a paid family leave policy was actually a maternity leave proposal. He promoted a plan that (1) did not include fathers, (2) only covered a mother after she gave birth, and (3) excluded adoptions. However, once he took office, stories emerged that he is considering a more comprehensive plan, which includes fathers. Unfortunately, there has been backlash from both Republicans and Democrats on the proposal. Although both groups believe that the government should be able to do something to support families, they don’t support the President’s plan. If Congress’ initial performance on the healthcare repeal bill is an example of what we have to look forward to, let’s seek guidance elsewhere. States, such as New York, California, Rhode Island, Ohio, and New Jersey, implementing legislation that provides partial pay while an employee is on parental leave. San Francisco passed legislation mandating up to six weeks of fully paid maternity leave. American Express expanded its paid parental leave policy for mothers and fathers to 20 weeks at full pay, plus another six to eight weeks for women who give birth and require medical leave. Washington, DC passed legislation that grants full AND part time employees eight weeks of leave up to 90% of their salary for birth, adoption or fostering. The bill also included allowing six weeks of family leave to take care of a family member and two weeks for a personal medical emergency. We are a long way from offering parental leave as generous as those policies offered in countries such as Hungary, Japan, and Bulgaria, but some organizations are making an effort to assist its employees.